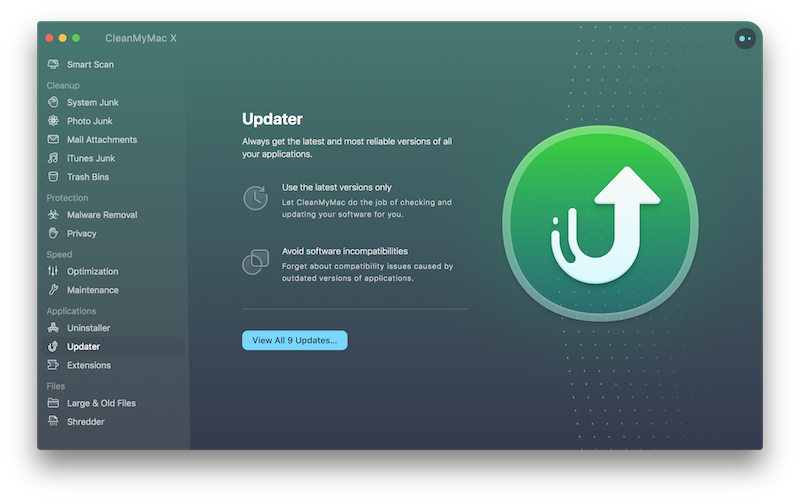 CleanMyMac introduces Updater, a new tool that gathers the most recent versions of your apps and system updates in a single list and supplies them with the description of changes. When you switch to the module, it checks available updates for both the installed apps and macOS and then shows you the number of recent arrivals. Click View All Updates to check what’s new. Choose an app from the list of updates and look through the changes. Click Select All above the list of apps to be updated. Now you save your time on tracking new software version across multiple sources and find them all in CleanMyMac’s Updater.